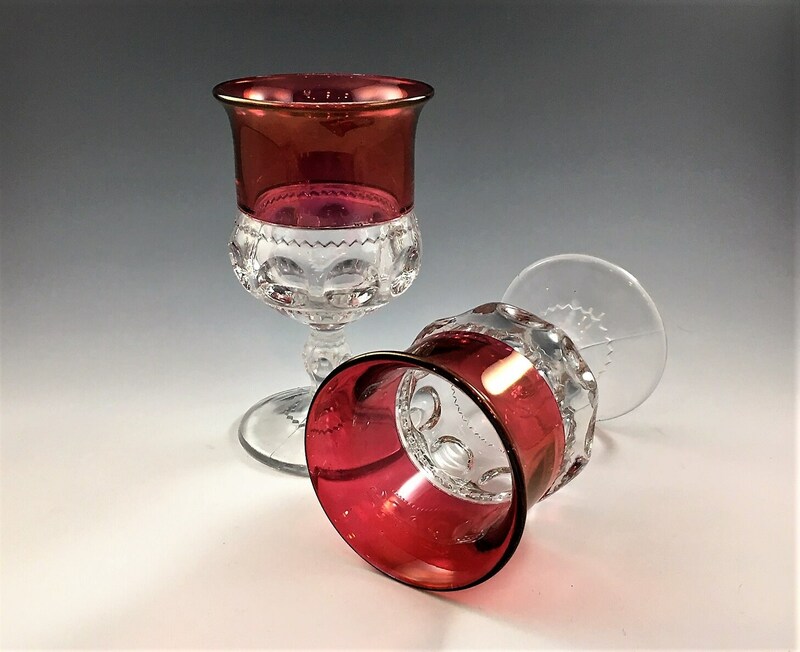 Featured is a stunning set of two vintage ruby stained goblets. 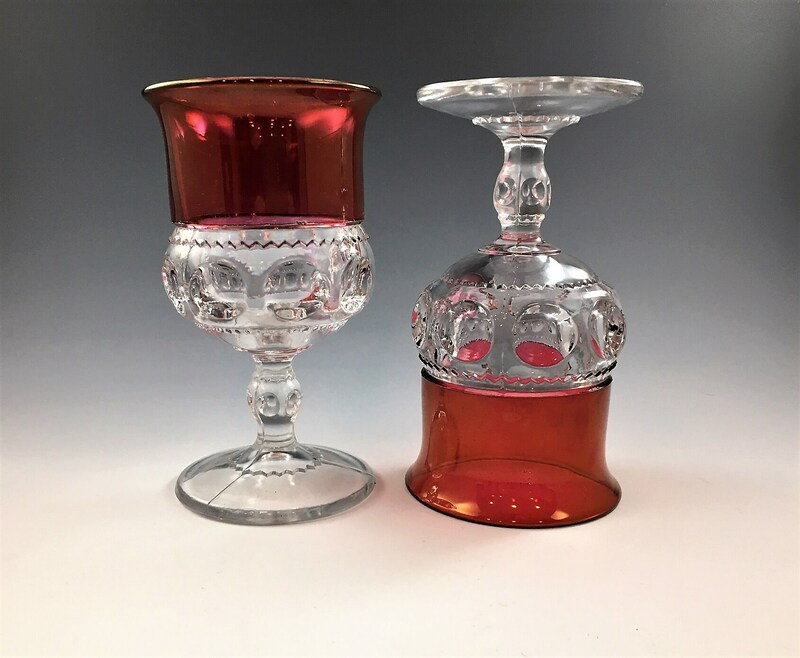 These classic pieces have been made by many glass companies through the years, from Adams in the late 1800's to Indiana Glass in the 1970's. They measure about 5 5/8 inches tall and are 2 3/4 inches in diameter at the rim. 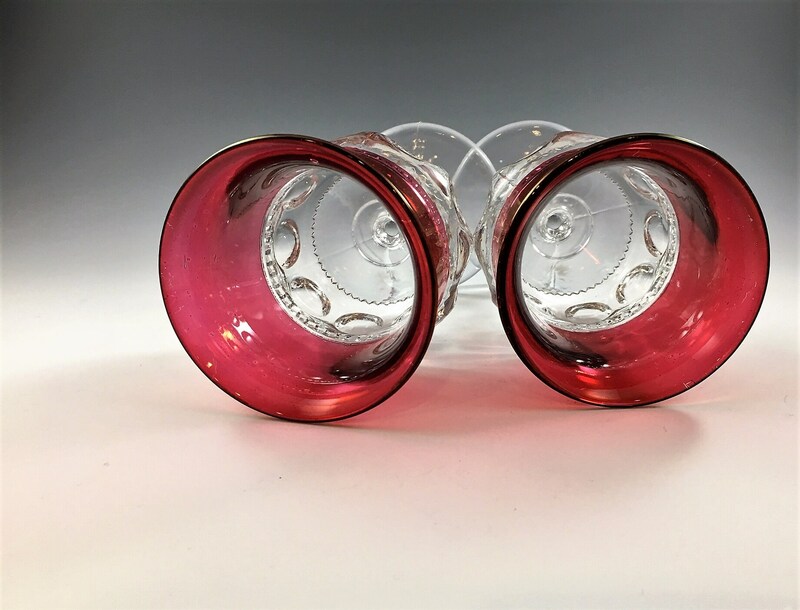 The base diameter is 2 7/8 inches and hold just under 8 ounces. These heavy pieces are getting tougher and tougher to find. 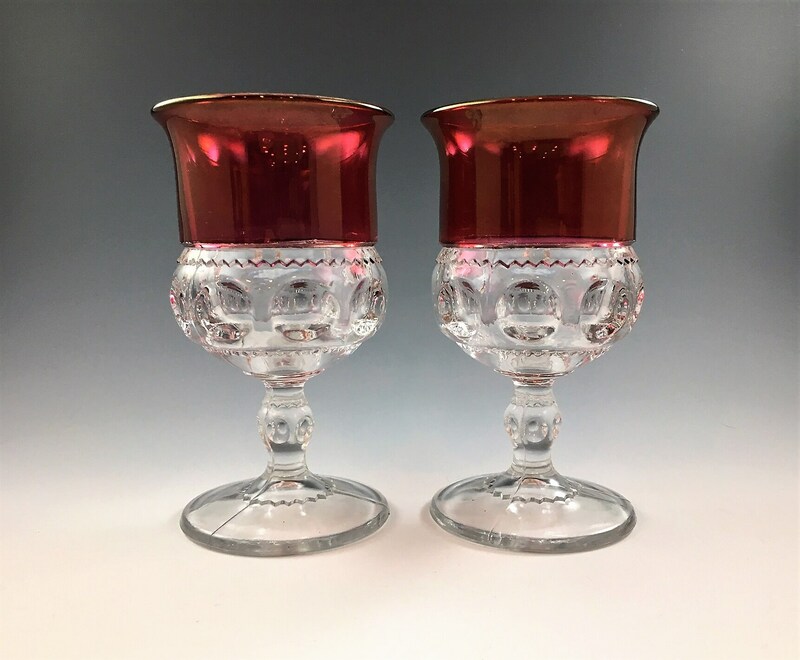 These 2 are in excellent shape, free from any chips or cracks and minimal wear to the ruby stain. All five offered here for one low price.